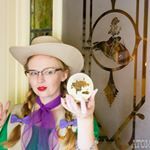 Over the years on the blog, I have made my love of two particular TV shows, Batman and The Adventures of Brisco County Jr., very apparent, whether through cosplay, cons, museum visits, or filming locations. One thing these two shows have in common is the use of the Bronson Canyon and Caves as a filming location, and we recently made the pilgrimage to this famous filming spot. Unlike most caves, the Bronson Caves and the surrounding area, known as Bronson Canyon (named after a nearby street), are the creation of man. In 1903, the Los Angeles Stone Company (according to Tom Explores Los Angeles) or the Union Rock Company (according to Wikipedia), founded a rock quarry, the rocks that were excavated here used in building the roads of Los Angeles, including such famous streets as Wilshire Blvd. and Highland Ave. But once the Great Depression hit, the quarry shuttered, leaving the caves we now know behind. As the rock quarry was located just a few miles from multiple movie studios, it didn’t take long for the motion picture and television business to capitalize on this spectacular location, as it could fit the bill for so many different places – earth or otherwise. Tom waxes on poetically about the caves in his video, and I quite like it, as he highlights that the area is a two-tier literal foundation for Los Angeles. First, the area was used for the raw materials to lay down the streets of LA in the early part of the 20th century, then in the later half, became a popular filming spot by the studios which helped build LA and Hollywood into what it is today. The area was especially a favorite for B-movies, including B-horror and B-sci-fi, because it meant that an extensive and detailed set (which equals expensive) did not have to be created. In fact one of my all-time favorite B-movies partially filmed here, Earth vs. The Spider. It was also used in the sci-fi classic Invasion of the Body Snatchers, and nearly every incarnation of Star Trek filmed here. But more personally, Bronson Caves is the location of the entrance to the Batcave for the 1960s version, of Batman. The Batmobile speeds through the caves and exits them as Batman and Robin rush to Gotham’s aid. In 1992 it was used in the opening scene for the pilot of my favorite TV show, The Adventures of Brisco County Jr., and as the scene plays out, it is the discovery site of the mysterious Orb. Over 25 years of erosion made for some interesting arguments between Patrick and myself. In the screenshots there are two visible openings, and in the shot I took there are also two visible openings, but one is different. I had to point out the rock formation just above the far right opening to Patrick for him to see that that opening had shrubbery in front of it during Brisco filming, and a landslide occurred to the left, all but blocking that opening. As the railroad literally blasts its way through the United States to lay down track, it uncovers an object that becomes known as the Orb, an object that can give both generous and dangerous power to those who touch it. One of my favorite bits in the show is that shortly after it is discovered, it is loaded onto a wagon for transport to the Smithsonian, and when asked what it is, the scientist replies with “An unearthed foreign object.” The soldier then says “That’s kind of a mouthful, chief,” and proceeds to abbreviate it to “U.F.O.” – one of many puns and purposeful anachronisms in this early steampunk western. The area was also used extensively in The Wild Wild West, in the episode “The Night of the Returning Dead” which guest starred Sammy Davis Jr. The Bronson Canyon is not only a wonderful short hike within the large famed Griffith Park, it also provides a glorious, unobstructed view of the Hollywood sign. When we first arrived at the parking lot for the area, we were told by someone that the caves were blocked off, and as we rounded the bend I saw tents – filming tents. I was about to cry, but, hey, the location has been used in over 90 movies, and over 30 TV shows, and that was the whole reason I was there! So I shouldn’t really complain. But we kept walking up the hill and I saw they were breaking down, folding chairs, collecting the generators, and doing general pick up. So we waited around for a little while, and soon we continued our walk into the canyon without a problem. I guess that is the risk you run when you visit popular filming spots. Once I got up on the ridge (which I nearly fell down trying to come back down) and I really absorbed where I was, I was giddy. This is the exact spot where the opening shots of my favorite TV show were filmed, and it was just so thrilling to be there. Serious geek, right here. Bronson Canyon is located within Griffith Park, and is only a short hike of about a quarter of a mile from a dirt parking lot. When you come upon it you see the Batcave side first, and you can either pass through it, or walk around the hillside, to the Brisco train tunnel side. Typing in “Bronson Canyon” into Google Maps will give you driving directions, and you must park at the parking lot, and hike the rest of the way, as that pathway is off limits to regular vehicles. Paramount Ranch: Set to Screen	Any Burning Questions?